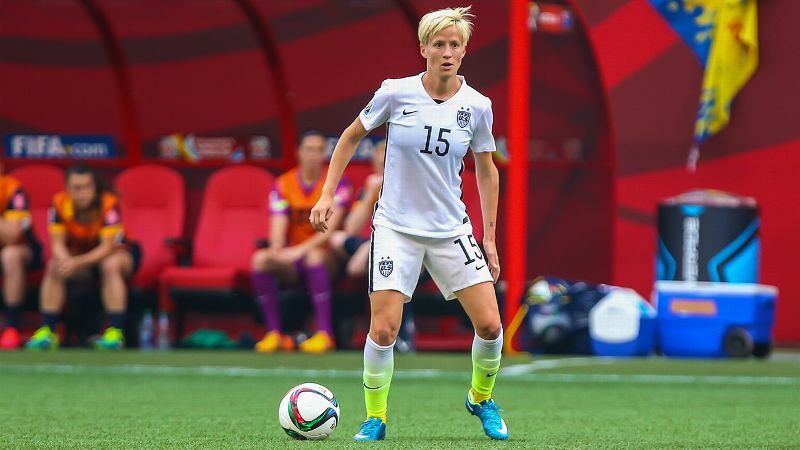 Megan Rapinoe's attacking style carried the U.S. women through the group stage of this Women's World Cup. While members of the U.S. team will no doubt play their hearts out during the Women's World Cup final against Japan, a coach on the sideline will be receiving real-time data about their actual hearts. Credit forward-thinking coaches who embraced sport science to improve performance: Each U.S. player wears a heart rate monitor -- not unlike one you'd find at your local sporting goods store -- when she trains and plays games. But what makes these special is where the information goes and how it's used. Whereas a commercial monitor (or "wearable") is designed for information to go to a wrist unit, an iPhone or iPad, and be used by the individual, for the U.S. women, there is a receiver that simultaneously collects the heart rates of 28 athletes to be analyzed by a coach. 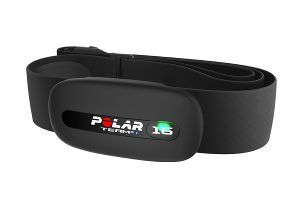 "What evolved [with the technology] was the ability for coaches to not only record the data, but be able to see it live," says Josh Simonsen, a training specialist for Polar, the company that supplies the U.S. team with its heart rate system. The data shows how hard a player is working, and can help a fitness coach determine everything from individualized training programs to deciding how much rest a player needs after a tough game. 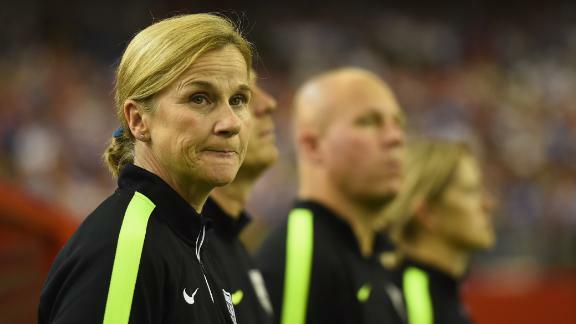 "If you take the women's national team, they're all fit. But it comes down to what type of fitness each player has," Simonsen says. What type of position an athlete plays also makes a difference, explains Sally Edwards, a heart rate expert and founder and CEO of Heartzones, a fitness technology company. "In team sports, each player's position has unique physiological requirements, so the forward on a soccer team has to have different training than a defender," says Edwards. "Some positions might need quick acceleration. Others might need endurance late in the game." With the use of sensor technology, a training program can be tailored to each player to make the fit even fitter. "[Now] you can train a team like a group of individuals," adds Shawn Arent, who tests fitness for U.S. Soccer, as well as Rutgers women's soccer. "To me, it's almost silly not to use them anymore because we know so much more about the physiology of sport." And it all comes down to science and math. The Polar Team2 System, which was introduced to the U.S. women in 2010, uses an algorithm that looks at duration of intensity and takes into account things like an athlete's age, height, weight, anaerobic threshold, and maximum and resting heart rates. Depending on the duration and intensity of a workout or game, each athlete will register a certain point value that is unique to them. 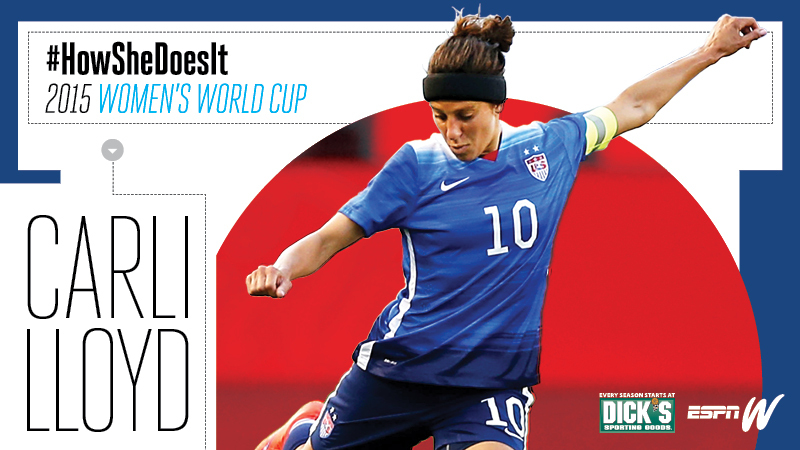 So consider a player on the U.S. team during the Women's World Cup who has a weekly point threshold of 1,000 points. If she tallies 300 points in a 90-minute game based on her workload, that means she has 700 points left to use for the rest of the week. Coaches will have to make sure she's not pushed too hard, yet still gets enough training so she doesn't regress. However, an area in which the heart rate monitors are especially useful is in the recovery process. The metrics can help coaches gauge when an athlete is actually tired and even predict when a player might become tired. "What you can now do is more perfectly tune in on when you need to give [athletes] more recovery days, and how much you should be doing with them in training," Arent says. Members of the U.S. women's team wear the Polar Team2 chest strap in games, but a wrist version during practices. This type of information is especially useful during the Women's World Cup, when rest and recovery are essential to a team's ability to stay strong throughout the entire tournament. "Heart rate is one of the most meaningful pieces of data that we have to give us indications of athletic performance," Edwards says. "The data is rich during the game. You can start to look at if heart rates are going higher and higher, it's one of the indications of dehydration. [Coaches] should be able to interpret players' levels of fatigue. They can interpret excitability, that players are emotionally still involved in the game." "Knowing what the strain is on your players from game to game is priceless because it's helping you truly manage your players, so that you get the most out them," Arent adds. If one athlete plays big minutes in a game, the intensity and duration of her practice the next day can be adjusted to accommodate for that. And while that might seem like plain common sense, there's now data to make precise calculations that lessen the margin of error for a player overdoing it and risking injury, especially in post-game training. It also ensures players peak at the right time. Says Arent: "When you see what the women's team just did against Germany and their style of play, it looks like a team that's playing very fresh right now."